I understand more people are taking the slow boat to China, or whatever the 21st century equivalent is, enjoying the journey as much as the destination. The growth of the slow travel movement is partly a response to the recession, which meant trips were fewer and shorter. Airport security lines turn out not to be the best place for reducing stress, so travelers are combining their vacation time to take longer trips on trains and freighters, finding value off the beaten path in places like Estonia or New Zealand. Or Argentina. Did I mention Argentina? The best parts of our visit there were the slowest parts, a discipline enforced by the pace of the culture itself. Service in a restaurant has only has one speed, and it hasn’t nothing to do with a timer designed to insure that people in the drive thru at McDonald’s get served faster than people waiting inside. When we returned from Argentina Katie and I flew back to Miami but we drove back to Michigan, squeezing a two-day trip into four. It was healthy. “Decompression,” we called it. In fact, as often as we travel to Florida, we’ve found that the drive is sometimes the most relaxing part, allowing us to talk without the distractions of the internet or the telephone. Missionaries are aware of the stress fast travel creates. Terry Thompson, director of the Gospel Mission of South America, says when he and his wife return from the field it feels like they step off an overnight flight into a whirlwind, whereas it took literally weeks for his wife’s parents to return from China fifty years ago. The trip was the real break. The larger problem, however, is we can go some place and never really be there. 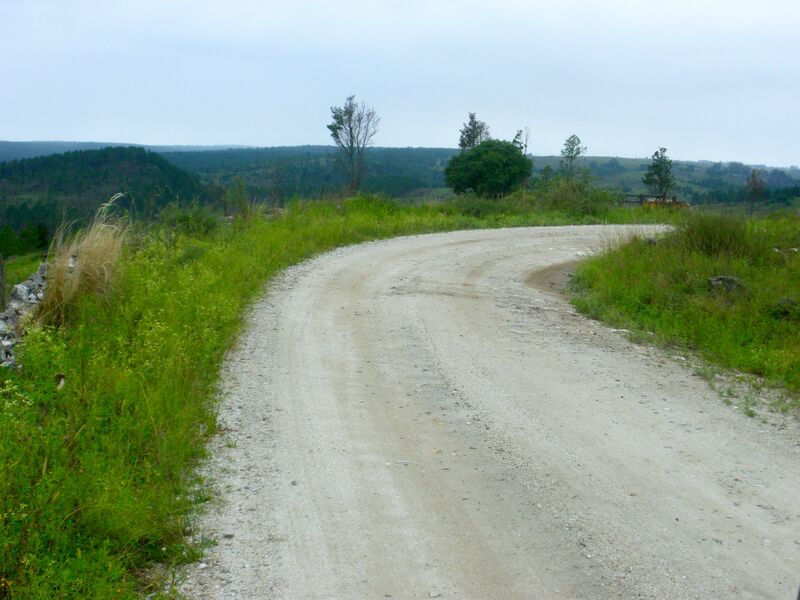 Many American Christians who visit the mission field spend about one week helping to build a new building, eating corn flakes for breakfast and driving past poor people on a dirt road road. They have some conversations with the missionaries, and get some sense of the challenges they confront— mostly in terms of what they can’t buy instead of that they can get. But each country has its own beauty. The landscape is only part of it. When we travel we should see less and understand more. We should have things to think about, not just things to talk about. Indeed our whole life is a pilgrimage, properly understood. Maybe we just need to slow down and get off the Interstate. Maybe we need to sit on the porch and talk to our neighbor. Maybe we just need to slow down and consider what the Lord has done, or is doing— in their lives and in ours. We have often considered setting up a retreat for missionaries and pastoring couples on our property. Nothing to do but rest, pick up a hoe and pitch in weeding the garden, or have a pot of coffee/tea and chat. As to travel, we have already determined that our next trip overseas will be to one location, and will be for an extended period of time. We want to get to know a new place, and a new community, not rush around getting superficial glimpses of history and culture, only to smother them with the next stream of rushed experiences. Katie and I built a large house, partly to do just what you describe. I’d love to talk to you about your vision. thanks for reading. and writing. Previous Previous post: will they serve grits in heaven?